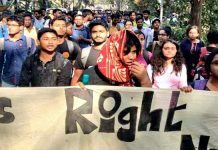 Kolkata: Following a nearly 44-hours sit-in agitation by the students, Jadavpur University has decided to continue with the practice of holding entrance tests for admission to some undergraduate courses in humanities but with some modification. 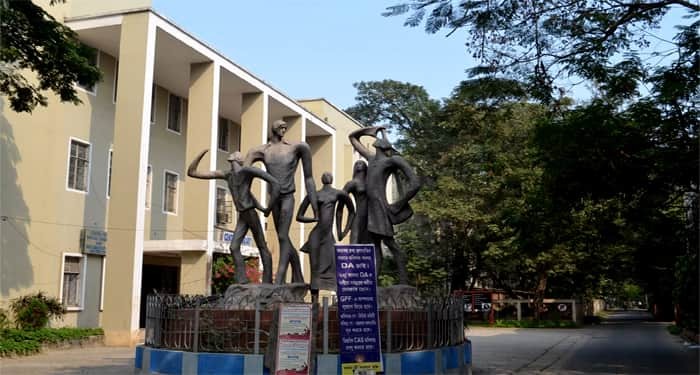 The executive council of the university held a meeting this afternoon and decided to go ahead with the entrance tests that were put on hold following a suggestion by state education minister Partha Chatterjee that the admission should be granted on the basis one uniform formula ~ either the class XII score or the entrance test score. 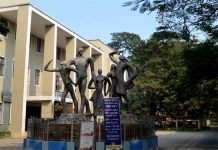 In JU, out of the 13 humanities courses in the undergraduate level, entrance tests have been in place for admission to six courses, and for the rest, the class XII score has been the criterion. 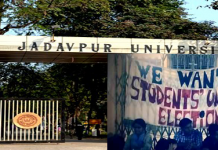 The plan to fall back on a direct admission based class XII score irked the students already studying in the varsity as they fear dilution of quality and they resorted to a sit-in agitation at the administrative building since Monday (25 June) afternoon), confining the vice-chancellor and other senior functionaries to their office. This made the executive council meet today and armed with a legal opinion from the state advocate general they decided to restore the entrance tests for six courses in the humanities. But now, instead of allowing admission solely on the basis of marks scored in the entrance test, 50 per cent score from the class XII exam will also be counted, the varsity has said. Also, instead of the concerned departments publishing the entrance test results individually, the same will now be done through a centralised system. The new date for the stalled entrance tests will be announced on Thursday.